After a full day snacking, Apple Brined Turkey, Pecan Corn Bread & all the sides, you definately need a energizing breakfast to assist you to this shop-til-you-drop sporting event, Black Friday. 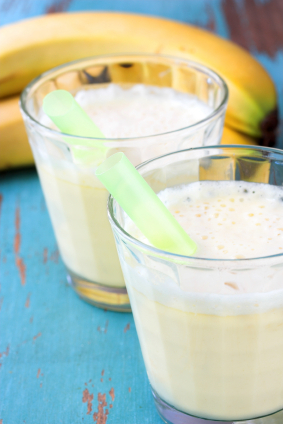 My Banana Smoothie is an ideal, quick don't-skip-breakfast for a morning you don't have time for a full country breakfast. For those online shoppers, enjoy a stack of my Flap Jacks! Now that we are officially in the Christmas season, I invite you to be join me over at Sears Cheer Tree for Christmas how-to inspiration. Place the bananas in a blender and puree. And the peanut butter, fat free milk, yogurt, and ice. Blend until smooth.